Alumni of various Russian universities share their experiences of being a student in Russia. 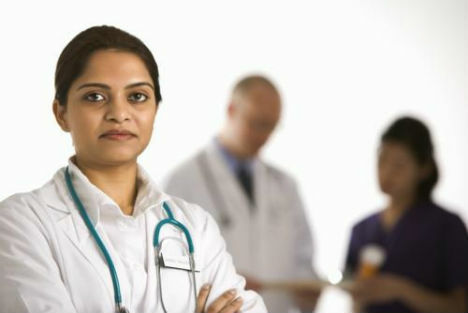 For an average Indian medical aspirant the move to Russia for studies is not an easy call. On the one hand there are challenges such as a very dissimilar climate and culture and on the other hand, there is a promise of good quality education sans heavy fees and tough admission procedures. Students thinking of moving to Russia are faced with questions which can be best answered by those who have graduated from Russian universities. “To study in Russia is an experience by itself. I enrolled into Tver State Medical Academy after I passed school and wanted to become a doctor, because in India the capitation fees were a bit too high,” says Dr Pramit Ray, who is working as a junior resident in a government hospital in New Delhi. “All institutions are well equipped with the most modern teaching aids and laboratories,” says Dr. A Najeerul Ameen, President of All-India Foreign Medical Graduates Association. Himself an alumnus of Volgograd State University, he actively facilitates students to pursue medical education in Russia, “Russia has taken enormous strides to make its higher education institutions accessible to foreign citizens,” Ameen observes. This welcoming intent is also reflected in the teachers’ gentle approach towards foreign students. “Our teachers were very cooperative,” says Dr Imran Sheikh, a graduate from Stavropol State University. “They were empathetic to the fact that we had come so far away from our homes because we couldn’t afford private seats in our country,” Sheikh says. Assurance of a convivial atmosphere aside, cold climate is certainly on the mind of anyone packing for Russia. “Initially it was difficult to adjust to the low temperatures,” recalls Dr Mohsin Ahmed, a native of Maharashtra. “But I soon got used to it because there were adequate amenities. Even going out in the cold was no longer a trouble,” Ahmed ascertains that it is possible to be comfortable in the cold weather. Ray addresses another challenge—language. “Firstly the Russian language is not as difficult as people think it to be. Most of us started conversing with our teachers and the local population fluently by the end of six months,” Ray assures. “All foreign students are given the option to either study the entire course in Russian or English. Parallel Russian language classes are held for students opting for English medium so that we can interact freely with people, get to know about Russian culture and have an amazing experience while we are there,” Ray says. In fact, being a foreign student in Russia could be as much of a valuable experience as elsewhere in the world. “We learnt to adjust, share and care,” recalls Dr Husna Suroor. Two girls from Greece became her closest neighbours in the foreign students’ hostel of the Stavropol State University. “I got an opportunity to understand and share not just the cultures of India and Russia, but also of various other countries,” Sheikh reveals, “There were students from 32 other countries in our hostel; countries as diverse as South Africa, Sri Lanka, Pakistan, Holland, Cuba, and many more. The best part is that we used to celebrate festivals of all of these countries in our hostel." Universities make sure that there are enough opportunities to foster this mutual interest in each other’s culture. “Our academy used to organise excursions every year,” says Sheikh who never missed any of the college trips. “I remember visiting Nalchik and Dambai – a beautiful hill station in Caucasus Mountains. The most memorable trip however was to the beautiful city of Moscow,” Sheikh declares. “The Russian Department of TSMA usually organises trips to places of historic and cultural importance but we were free to explore different places on our own,” Ray describes his travels in Russia. “We also enjoyed winter sports such as ice skating and skiing,” Ray recalls. Suroor, an avid traveller, speaks about her outings with a dose of nostalgia, “I miss all that snow in Russia!” says the girl from Bangalore. A bigger concern is perhaps the strict screening test which foreign graduates have to clear to be allowed internship in India. The FMGE exam by the Medical Council of India is infamous for poor success rate. A number of universities are now preparing students for this exam and results are showing improvement. “Although there is the awfully cold weather, a complicated language, a difficult FMGE exam on graduating, yet, the Russian experience is one not to be missed. If given a chance I'd go again,” Ray says.